Today's guest post is brought to you by my friend and fellow blogger Christian Paulsen. Christian helps companies optimize performance. He is a Lean – TPM facilitator and adds value to organizations by driving continuous process improvements and bottom line cost savings. 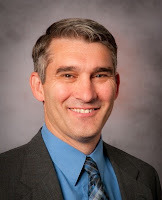 Christian is a Consultant who brings 20 years of manufacturing leadership experience and Lean Manufacturing expertise. He authors Lean Leadership and is a regular contributor to the Consumer Goods blog. That's not asking a lot, is it? 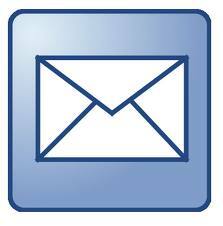 You have just implemented a big change that should save your company a lot of time and money. A little follow-up to make sure everything is going as planned is common sense. What could be easier than to check to see how it's going, right? Then why is it that so many leaders get caught in the Silly Cycle? We have all been there. It seems that there are more and more demands placed on manufacturing plants every day. The same is true for other work places. Not only are today's leaders expected to do more with less. They are also expected to do it better, faster, and cheaper than last year. Sound familiar? It's no wonder that it's difficult to find time to properly plan and even harder to follow through on everything that crosses a leader's desk. But if you don't plan and you don't follow-up, all you do is Do, Do, and Do. This really is not a new problem. While I believe that these are particularly tough times, leaders have always been challenged to do it better, faster, and cheaper. 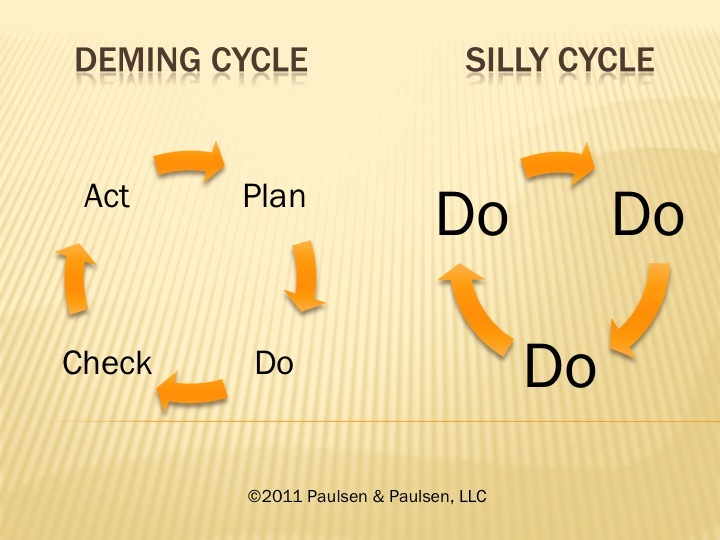 In fact, the Plan - Do - Check - Act cycle goes back to the 1930's when Walter Shewhart developed PDCA. Dr. Edwards Deming made it famous with his work in the 1950's. 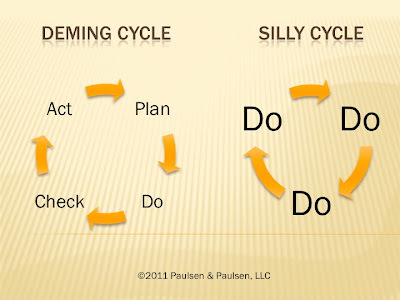 While the PDCA is often called the Deming Cycle, he referred to it as the Shewhart cycle. Plan: Define, measure, and analyze. Define the scope of the project. Assess the current state. Measure and benchmark so you know where you are starting. Analyze the root causes and consider your options. Do: Implement your plan. Over communicate. Start with a pilot or test area. That way you can learn lessons from the implementation on a small-scale. No matter how easy your idea sounds, there will probably be some unexpected issues. Check: Follow up on the results. See if the plan is being implemented as you expected. Get feedback to see how the plan can be improved. Act: Standardize your improvements. Plan for Continuous Improvement. Build systems so that the improvements can be sustained. Taking the time to plan, check, and act will pay dividends. You have already seen where skipping those steps takes you. You don't have time to solve everything today. Pick one and start there. What issues are you dealing with today that warrant a PDCA?